During this week, GH Group will be represented by its company GH Induction Equipment (Shanghai) Co. Ltd. in the International Wire & Cable Industry Trade Fair in the stand W1 C59 . 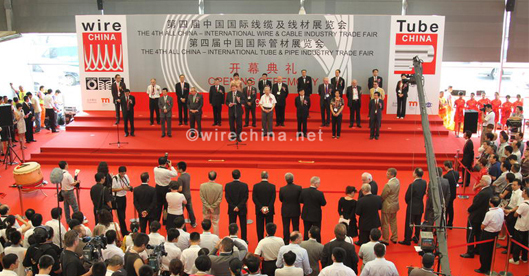 Due to the strong demand in wire and cable, and great opportunities along with the fast growing wire and cable industry in East China, wire China 2012 wants to continue leading the latest trend in China’s wire and cable industry and establish the best trade and exchange platform in China and even in Asia. So GH Group is willing to take profit of this opportunity and promote its brand in China. Actually GH is one of the major suppliers of induction solutions for cable and wire with customers like Troester 特乐斯特, Pirelli 倍耐力, Siemens 西门子, General Cable 通用电缆, Prysmian 艾泰科, Nexans 耐克森, ABB 阿西布朗布法瑞, Ericsson 爱立信, Fujinkura 藤仓, Phelps Dodge 菲尔普斯道奇, KUKA库卡, NTK, etc. The solutions have been design for several processes as pre-heating, post-heating, hardening, tempering, annealing, degassing, mold heating, aluminium seath, soldering, welding, brazing and other processes.